DADE CITY, Fla. — Grant Pennington built Grand Pine Farm in Dade City himself. The gorgeous Pasco County farm is a tribute to the 31-year-old’s passion for horses, which he shows and trains for an international clientele. But the prodigy’s dream came to a terrifying halt a few years ago. 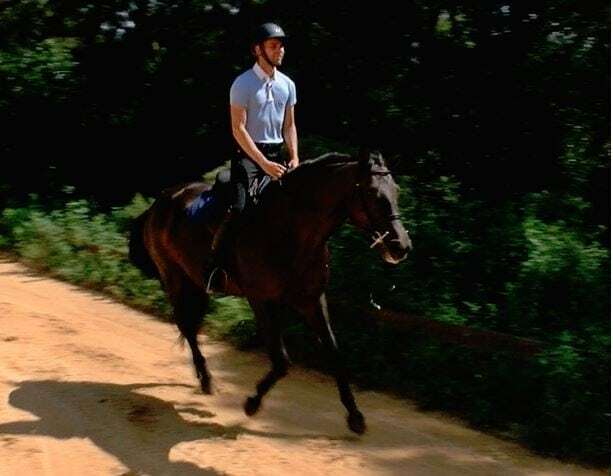 Grant was not sure if he would walk again after being bucked off a horse while jump training. “Doctors and nurses were saying it was the worst break they’ve ever seen,” said Grant. He shattered the tibia bone (or shinbone) in his left leg in 13 different places. Grant’s mother says her son was in shock at first, angry at being thrown off his horse-training schedule. He may not remember the pain, but she remembers the screaming. “The doctor told me that break was the most painful break you could have,” said Shawn Pennington. After three surgeries and a total of 24 hours under the knife, Grant was immediately determined to return to what he loves best. Within a few months, he was using his walker to slowly make his way up to the barn. His mother was not pleased. “I was pretty bound and determined to push through that,” Grant said with a smile. But passion and focus proved to be a magical mixture. He walked again. He rode again. And now, he is jumping again. Grant has two shows coming up. He says his leg feels fine.